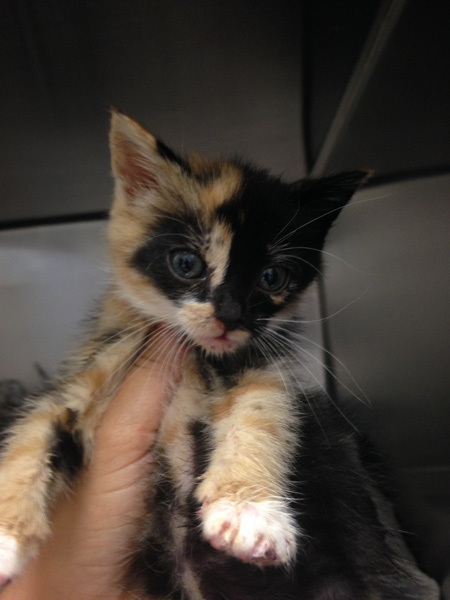 The three-week old kitten was found by trash collectors in Upper Darby in a bag with paint on her fur. 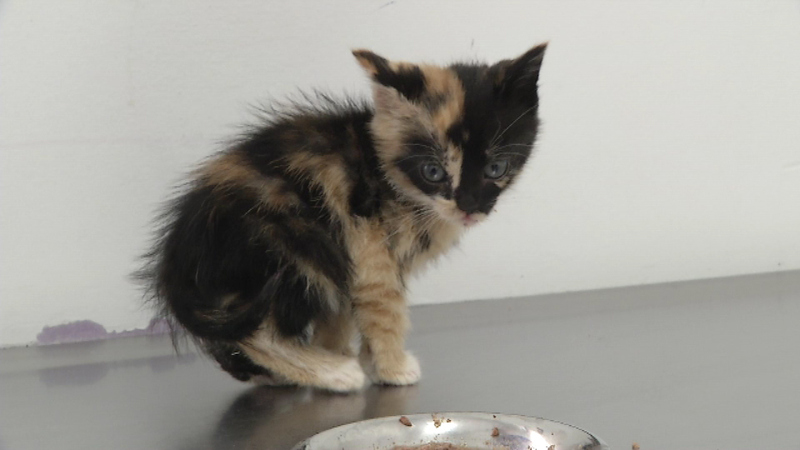 UPPER DARBY, Pa. -- The Providence Animal Center in Delaware County wants to know who apparently threw a kitten out in the trash. 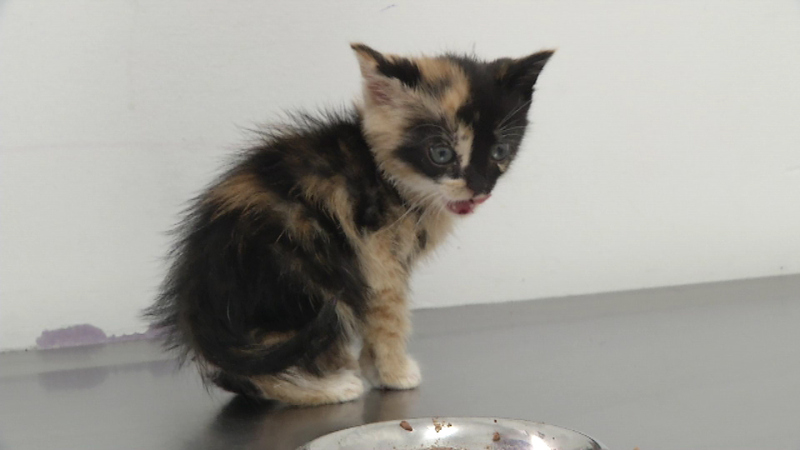 The little three-week old female kitten only weighs about 12 ounces and can barely eat on her own. 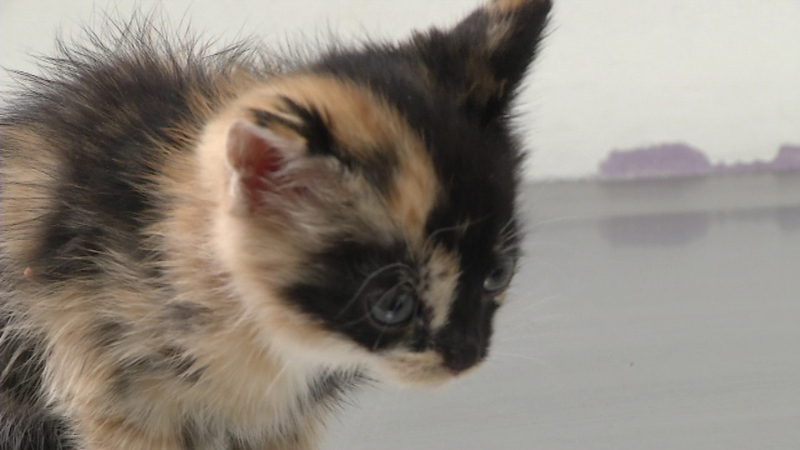 She was found by trash collectors in Upper Darby in a bag with paint on her fur. 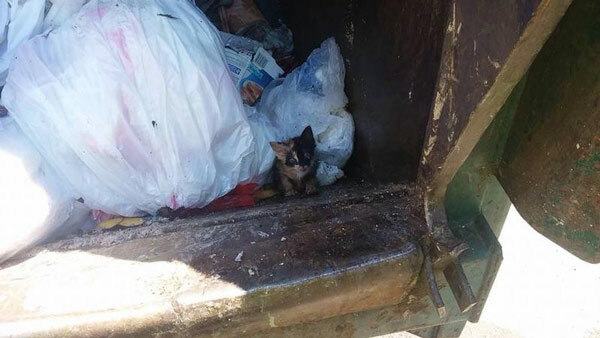 "They emptied a trash can in the back of the truck, the bag started moving, and out comes this kitten," Ron Riggle of Providence Animal Center said. "This kitten could not have gotten into the place it was in on its own. 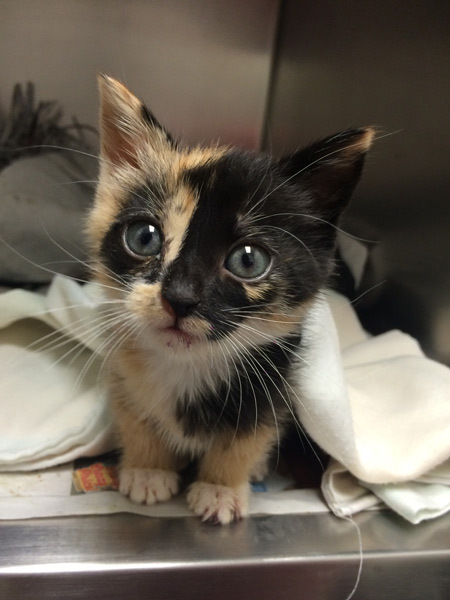 It's a helpless little kitten, and somebody decided to just throw it away and we just can't throw away animals." 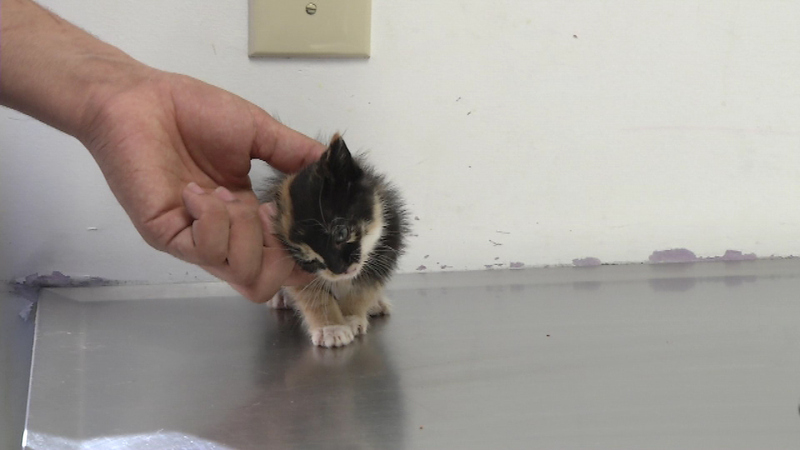 The search is on for a new home for the kitten and for the person who threw her in the trash. 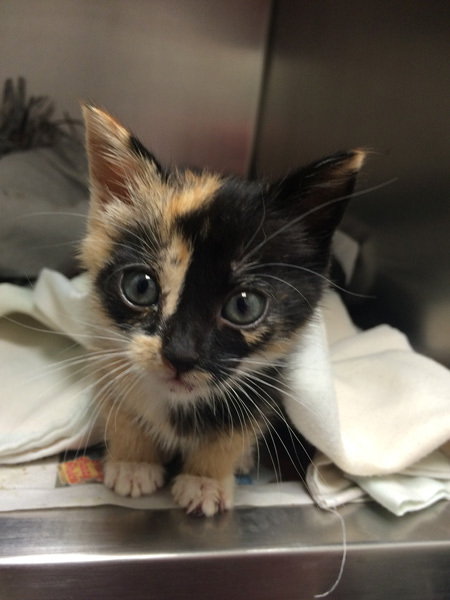 Animal center staffers named her Grundgetta, after the girlfriend of Oscar the Grouch from Sesame Street. They are looking for a foster home for Grundgetta, as well as the person who tossed her out.